Event ticketing company Eventbrite has analysed transactions driven through sharing on Facebook, Twitter and LinkedIn to determine the value of social sharing actions to event marketers. 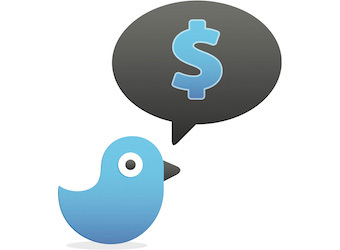 One share of an event on Twitter can generate $10.90 in revenue to its organiser – two to four times more value than other social channels when sharing information about events. The study found one share on social media generated an average of $4.80 in revenue to the organiser. While Twitter was the most valuable at $10.90 per share, shares on Facebook generated $4.10 and those on LinkedIn brought in $3.20. The value of social shares in Australia is well above the global average (3.70), coming second only to Canada. Social media proved also to drive traffic, with a single share resulting in an average of nine additional visits to an event webpage. Again, Twitter led this trend with one share generating 38 additional visits, while LinkedIn drove 11 visits per share and Facebook drove seven visits per share. Eventbrite international expansion manager Elsita Meyer-Brandt said over the last two years, Twitter’s influence had increased while Facebook’s decreased. Eventbrite found the types of events that saw the most value from social media sharing were food events and performances, followed by seminars and music events. In comparison, conventions and participatory sports events showed slightly lower value. Social and food events saw the highest number of site visits from social media posts, followed by seminars, conferences and entertainment events. Eventbrite has processed nearly $3 billion in ticket sales in 187 countries worldwide. Since launching in Australia in 2012, it has hosted over 75,000 local events and recently opened an APAC office in Melbourne.